New vehicle pricing includes all offers and incentives. Tax, Title, Tags, and dealer installed accessories not included in vehicle prices shown and must be paid by the purchaser. While great effort is made to ensure the accuracy of the information on this site, errors do occur so please verify information with a customer service rep. This is easily done by calling us at (855) 520-7969 or by visiting us at the dealership. Based on 2019 EPA mileage ratings. Use for comparison purposes only. Your mileage depending on driving conditions, how you drive and maintain your vehicle, battery-pack age/condition, and other factors. Comes equipped with: Gray, Cloth Seat Trim, Obsidian Blue Pearl. 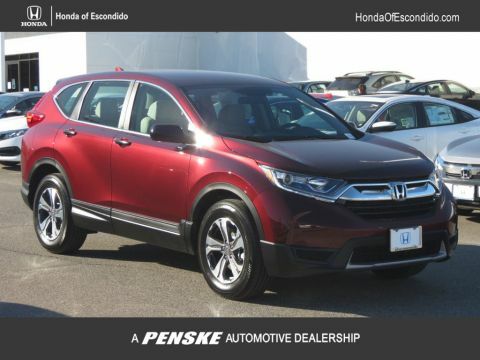 Honda of Escondido has been serving San Diego County for over 30 years. At Honda of Escondido, we are committed to excellence and believe that customer satisfaction can only be achieved through teamwork. Our mission is to provide consumers with “simply the best” automotive retail experience. At Honda of Escondido, there is no such thing as a high-pressure sales pitch. When you visit our dealership, you can expect to be treated with respect and courtesy. We will do what we can to make you feel comfortable and answer any questions you might have. 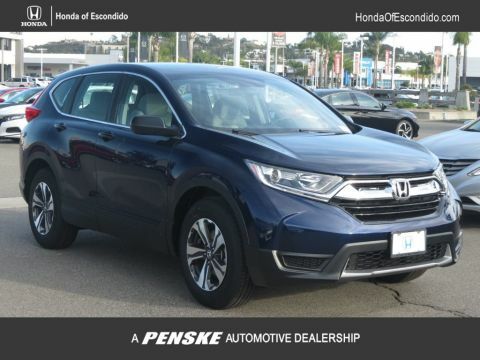 As one of the premier Honda dealerships in the San Diego region, we are always open to ideas on how we can serve you better, and welcome your feedback and suggestions. Honda of Escondido	33.1174503, -117.1086885.